Iriquois Ridge Medical and Dermal just celebrated a decade of delivering consistent high-quality medical care in our Oakville community. 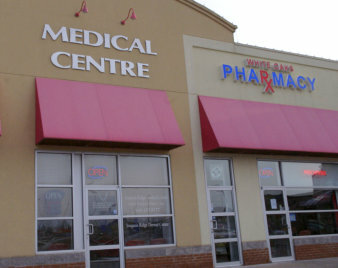 Our office is conveniently located at 360 Dundas St. E. and is accessible via all major roads. We are proud of our office, which fully utilizes state of the art equipment. Our practice is committed to serving the Oakville community with the highest standard of care in medical and cosmetic services. We are health experts, compassionate , trained at observing and listening. Our conscientious staff delivers professional, progressive care. We have a full time Walk in Clinic open 7 days a week. We also offer cosmetic services - please proceed to the Medical or Cosmetic/Dermal section for details regarding each.